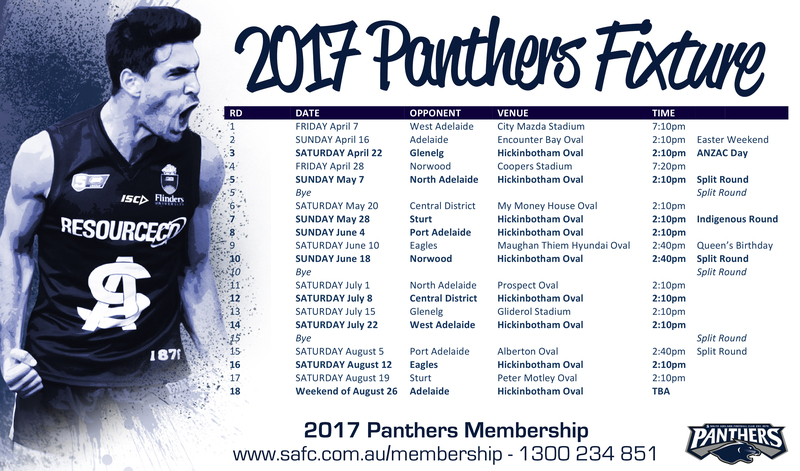 South Adelaide are excited to reveal the Club's senior fixture for the 2017 SANFL Macca's League season. 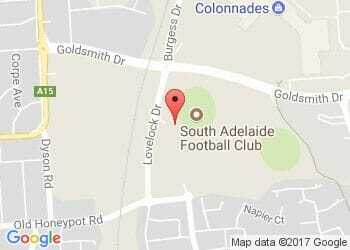 To download a copy of South Adelaide's fixture click here. A re-jigged fixture includes only three byes, 10 Saturday afternoon games, five Sunday games and two Friday night clashes. Meanwhile, home and away matches are now more evenly spread throughout the year. Highlights of the fixture include two Friday night games away at the Parade and City Mazda Stadium, an Easter Sunday clash with the Crows at Encounter Bay and sees Hickinbotham Oval host ANZAC Day Round and Indigenous Round games for the first time in several years. The Panthers will continue to alternate hosting Good Friday games, but this season saw an opportunity to take a game out into South's country zone during a time when tourism is traditionally strong in the Victor Harbor area. South will also feature on Channel 7's coverage of the SANFL competition three times throughout the season. The Club's Round 10 clash against Norwood at Hickinbotham Oval will be beamed live into South Australian homes, as well as its Round Nine against the Eagles at Maughan Thiem Hyundai Stadium and Round 15 at Alberton Oval versus the Magpies.